Looking for garage door repair Dinuba California homeowners? What about garage door installation? You have found the right company. 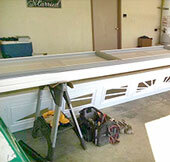 The name of our company is Garage Door Repair and Installation Company. We are a local company that is focused on providing Dinuba residents with the highest quality garage door repair services. Call us for immediate service on residential garage door repair and installation. Garage doors have a lot of moving parts. Also, garage doors are subjected a large number of elements. Let’s not forget that they are under a great deal of tension and weight. Therefore, it is not uncommon for garage doors to need to be repaired. Our company handles all types of residential garage door repair services. Our garage door repair company has some of the things that come up the most often when servicing garage doors in Dinuba listed below. We will continue to add more information to this page so we can better assist Dinuba residents. The most common thing that breaks on a garage door is the spring. When a garage door spring breaks it will keep the garage door from being lifted. A garage door spring reduces the amount of weight the garage door opener (garage door motor) has to lift. Garage door springs are one of the things that make a garage door so dangerous. Garage door springs are under a great deal of tension. People are injured the most often when they are attempting to repair the garage door springs without the proper experience. Torsion springs are the type of springs you see on almost every garage door. Torque Master springs go on a Wayne Dalton garage door. They break extremely easily. As a matter of fact, they break so easily that many homeowners choose to get a whole new garage door system so they can avoid the problems that come along with the Torque Master spring system. Garage Door Repair and Installation Company has some of the best prices on garage door spring repair in all of Dinuba. Call us with all of your garage door repair questions and scheduling. Sensors are one of the most common reasons a garage door will stop working. Sensors are designed to protect pets, people, and property from being harmed. Sensors use infrared light to send a beam from one sensor to another. When these sensors are out of alignment the garage door will not close. Many garage door repair companies in or around Dinuba will use a misaligned sensor as an opportunity to mislead you about what is wrong with your garage door. If you are ever in doubt about why your garage door is not closing, don’t hesitate to call for second opinion. Garage Door Repair and Installation Company offers professional garage door installation services to Dinuba homeowners. Not all garage doors are worth installing. Our company can install any and all types of residential garage doors. However, we will not install garage doors from big box stores such as Home Depot or Lowe’s. We are a small company and our reputation is very important to us. The garage doors sold by big box stores are of such poor quality that we will not stake our reputation on them. 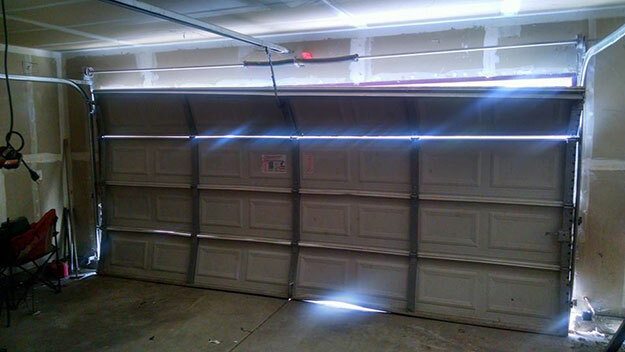 We have found that installing a garage door of such poor quality can end up being a poor reflection upon our company. Our company sells and stands behind products from C.H.I. Overhead Doors. C.H.I. Overhead doors are high quality garage doors that are made to last. We are confident enough with C.H.I. Overhead Doors to use them on every new garage door installation we do. My company is here to help you with garage door installation and garage door repair Dinuba homeowners. We are the most reliable and affordable licensed garage door repair service in Dinuba. Our company is willing to beat any written quote. We look forward to hearing from you, call us any time.